Melanoma of the eyelid is a relatively rare tumor making up less than 1% of eyelid cancers. However, like other skin melanomas it can spread to other parts of the body. This tumor typically appears as a pigmented thickening (tumor) of the eyelid or extension of pigment from the conjunctiva. It is characterized by a patient history of or photographically documented growth. 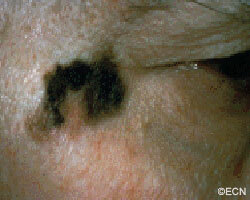 Eyelid Melanoma - Note the melanomatous extension onto the eyelid margin. A simple wedge-biopsy confirmed the diagnosis, and was followed by complete removal with margins. Hutchinson's Freckle - Sometimes referred to as the primary acquired melanosis (PAM) of the skin. 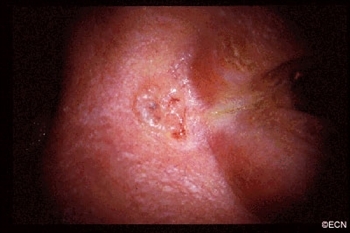 But, due to the high risk of malignant transformation of these lesions, they are being treated more aggressively. Malignant melanoma of the eyelid may look like an eyelid nevus, but it more likely to be variably pigmented, change color, bleed and/or grow. 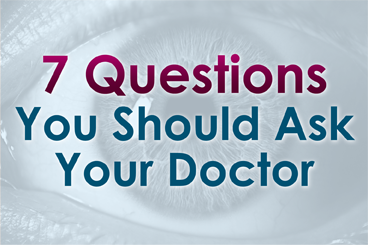 All pigmented eyelid tumors of the eyelid should be evaluated by an eye cancer specialist. All eyelid tumors should be photographed for comparison with future examinations. if possible, patients should keep a copy of their baseline photographs. Malignant melanoma of the eyelid is distinguished from an eyelid nevus in that it can be variably pigmented, change color, bleed and/or grow. If your doctor makes a clinical diagnosis of eyelid melanoma or change is noted, the tumor should be evaluated by an incisional (not superficial) biopsy. This is because the depth of the tumor is an important risk factor for spread to the rest of the body. A simple wedge biopsy can be sent for pathologic evaluation to aid in the diagnosis. To evaluate the entire tumor, primary excisional biopsies need be performed. Once the diagnosis is made on pathology, systemic staging with total body, scalp to toes PET/CT imaging should be performed. When the pathology diagnosis confirms or discovers that the tumor is malignant melanoma of the eyelid (eyelid cancer), a medical work-up is ordered to stage the patient and thus rule out metastatic spread to other parts of the body. If there is no metastatic disease, the tumor can be surgically removed (including large margins of normal appearing tissue). At the time of surgery, some doctors will also remove regional lymph nodes near the tumor (in order to determine if the tumor has locally spread). Ophthalmic plastic surgery techniques are usually required to repair the defect caused by tumor removal. The extent of surgery is governed by the ocular distribution of the tumor. That said, it can range from simple eyelid resection (wedge or Moh’s) to removal of the eyelid, debulking the orbit, to orbital exenteration. Radiation (external beam or brachytherapy implant) may be added if surgical margins are not possible. Most all patients can be repaired using one of these techniques (see Treatment Types Section).